After much laboring, scrimping and saving, I bought a new camera this week, the Nikon D800. This is my first professional-grade camera, and to celebrate, I also bought a new lens, the Nikkor 24-70mm. The main difference between this new camera and the one I already have, the Nikon D7000, is the full-frame sensor. The image sensor is approximately the same size as a 35mm negative. Higher resolution, better color fidelity and superior lens compatibility are among the benefits. This camera is a whopping 36 megapixels (compared to 12 on my D7000, and 8 on my iPhone). The detail is amazing, and you can crop and crop and crop, and still have plenty of usable photo. The downside is each RAW image is 38 megabytes in size. I have to be careful about deleting my unwanted photos or my disk space will be consumed in no time. When I bought my D7000, I raced to the roof and shot a first photo. Well, the photo below is my very first photo with this new camera and lens. 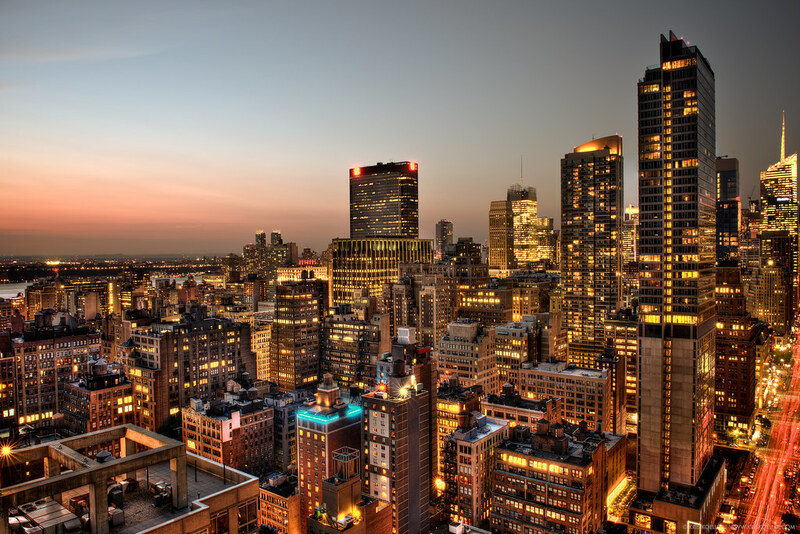 This is a 9-frame HDR looking northwest in Manhattan. If you click on the image below, you can see the full 36 megapixel photo; be warned it will take a while to load. Ok, that isn't exactly true. I got the camera yesterday, but the lens didn't arrive until today. 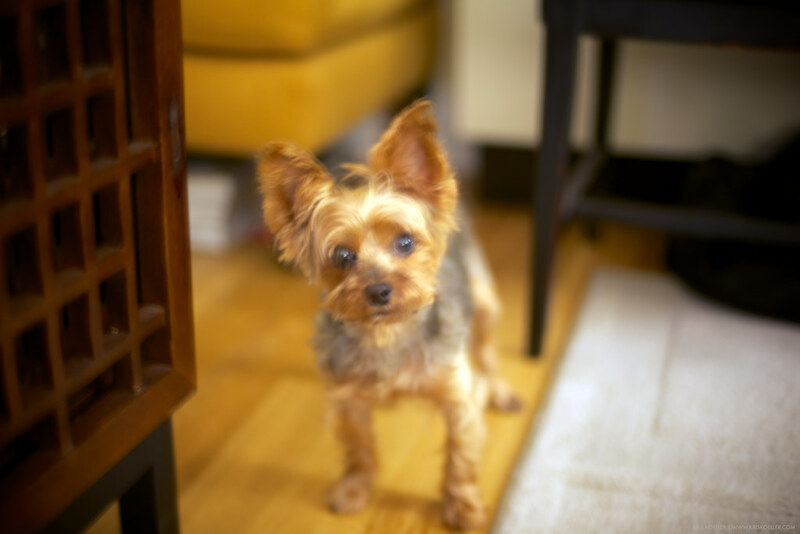 Unable to wait, I put the 50mm prime on the camera and took this very unfocused, poorly exposed photo of Suki. Not a very compelling debut, but in typical fashion, I hadn't read any of the instructions or settings so clearly I didn't know what I was doing. Alas, below is the actual very first photo. There's no automatic setting on this thing!